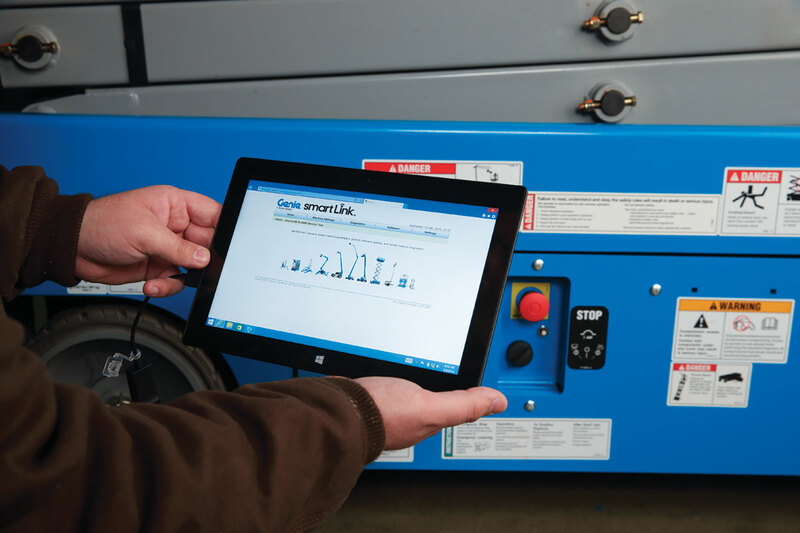 The latest Genie® Smart Link™ Rev P software is available now for all Genie scissor lifts and vertical lifts. The new software includes an innovative functionality that allows machine operators to adjust the maximum platform height restriction. Tim Merritt, Genie National Product Support Manager, Terex AWP, explains, “The height restriction functionality is intended for use as an added layer of secondary guarding in applications with restricted access, low-level ceilings or overhead obstructions. “If you know the height of the lowest point in the building, you simply program the platform control to raise the machine to the desired safe operating height, and this feature will help reduce the risk of injury to an operator,” adds Merritt. Height limiting will be available on Genie Smart Link controlled scissors and vertical lifts equipped with load sensors. To find out more about the new Genie Smart Link Rev P height restriction software contact your Genie regional sales manager or call us on 1800 788 633.